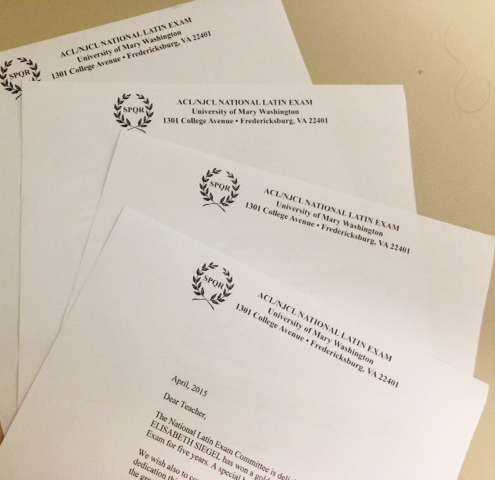 Four Harker students were recently honored for their stellar performance on the National Latin Exam, sponsored by the American Classical League and Junior Classical League. Recent graduate Richard Gu, rising seniors Allison Wang and Elisabeth Siegel and rising junior Venkat Sankar each received a special book award for earning gold medals on at least four Latin National Exams in the last five years. The National Latin Exam, administered since 1978, is a 40-question, 45-minute test with seven different proficiency levels, containing questions on topics such as grammar, reading comprehension, mythology and history. Nearly 141,000 students took the exam between February and March of this year.